Betfair is the worlds leading betting exchange. 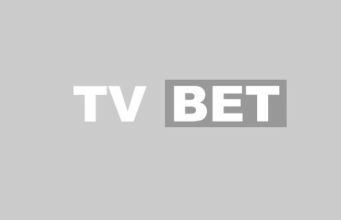 Founded in the year 2000 by Andrew Black and Edward Wray, when they turned the betting world on its head by creating a completely new way to bet. Allowing users to place bets against other users with differing opinions, the betting exchange was born. With Betfair you can place a bet in the traditional sense (to back something to win) or you can lay a selection (bet on something to lose) essentially playing the role of the bookmaker. Betfair is an absolute dream to use. The site is very simple to navigate even though it is absolutely packed with features. The endless sports and events they cover are listed on the left hand side of the page and there is a search box to find any particular market you may be interested in. Live and upcoming events are listed on the right and are only one click away. The site is extremely quick to scroll through and fantastically stylish without the need for large slow loading graphics. Live betting: Betfair offer live in-play betting on an absolutely huge variety of markets on almost every sport. Every day there is an endless amount of live sport which you can bet on while the action is taking place. Live streaming: The live sport shown at Betfair is second to none. From football, tennis, horse racing, basketball, cricket and rugby, there is something for everyone. Betfair mobile: Betfair supports mobile betting and covers their complete range of sports and live in-play betting which is as good as using your pc. Tutorials: Betfair has a vast tutorial, FAQ and help section. Anything you are unsure of regarding Betfair is answered in this section. Other: Paypal, Neteller, Moneybookers, Click and Buy, bank transfer, cheque. Betfair have the best customer care in the business. Very polite and extremely educated in all things Betfair. If the vast FAQ and online help pages cant help with your query then Betfair’s customer service team certainly can. Betfair consistently have the best prices in the business. This is because no high profit margins are built into the prices. On average you can achieve a 20% higher price than any other bookmaker although a commission of 5%(dropping to 2.5% for users with very high usage) is paid on every winning bet. This is how Betfair run as a business. Betfair is the complete package. No other betting exchange even comes close to matching what Betfair have to offer. As it is a betting exchange and not a bookmakers, you have no limits on how much you want to stake and no cap on how much you can win. As you can technically play the role of the traditional bookie you are able to bet on selections not to win, making profitable betting much easier. Betfair’s live streaming service is the best available online, as is their live in-play betting options which allow you to bet on different outcomes while watching the event live on your pc. Odds are on average much higher here than anywhere else and millions of users are using Betfair every day, making liquidity in popular sports absolutely huge. With Betfair you have the ability to trade your position in sporting events, enabling you to create risk free outcomes and also build a knowledge of how trading works, which can be highly profitable. Whether you enjoy betting for fun or want to gain knowledge in sports betting and trading Betfair is an absolute must. They are the world leader in their field and will continue to be for a very long time.